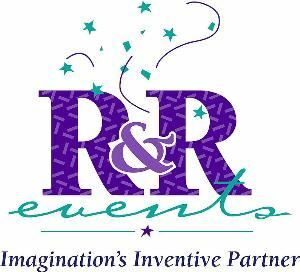 R&R Events is the mid-Atlantic’s one stop shop to bring your vision of a perfect event into a reality. With unmatched wealth of creative imagination, production experience and professionalism, R&R Events removes the unnecessary stress and anxiety associated with any type of event planning. Utilizing R&R Events is a transforming experience. From Page One where we begin the creative process to “lights out” post-event break down, R&R orbits in a world of make-believe, rooted in a work ethic surpassing most of our competition. Deadline oriented, hands-on and ready to help you accomplish your mission, our team is your team. R&R Events’ staff is skilled at executing corporate events for brand building, press conferences and ribbon cuttings to private social events like weddings, anniversary soirees and mitzvah’s. In addition, in over two decades we have coordinated and helped produce festivals and galas for non-profits and heralded in holidays with fireworks for municipalities. With 12,000 square feet of warehouse space, an Imagination Station and workshop to rival Santa’s, we are equipped with props and scenes to create and transform a garage into a Casbah or a hall into Bourbon Street. No job is too small, or too large – it isn’t about size, it’s about ‘mission.’ What do you want to accomplish? As part of your team, we make it happen.